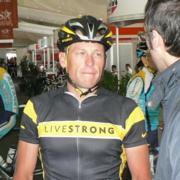 John travelled to the Tour Down Under with Kiwi Style Bikes Tours. 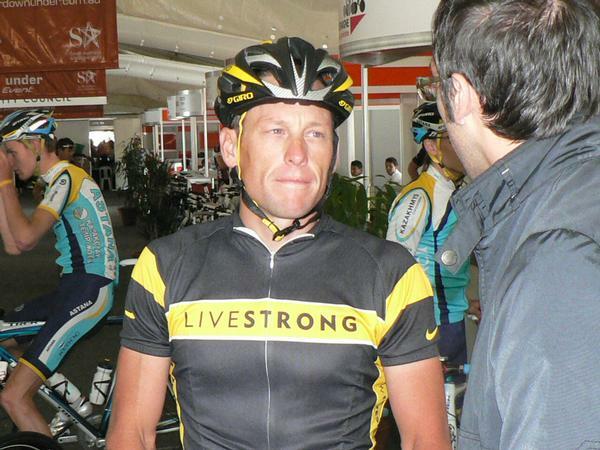 He rode over 660 kilometres and with media accreditation got to ask Lance Armstrong a few questions! He got up close and personal with many of the riders and teams, met the international voice of cycling Phil Liggett and was generally blown away by the event and Adelaide as the first Pro Tour event of 2009 became as Aussie benefit for their top riders and the ‘Lance’ Show. Communications protocol workshops - develop high performing communication frameworks for business; build effective outcome orientated communication to drive better business performance. develop and manage media releases and their targeted distribution, media training and media relations services. media crisis planning and management. design and production services - brochures, newsletters and web strategies. John and enthuse have vast experience in tourism and sports related marketing and media communicatons, especially cycling and multi-sport. What effects does enthuse services have on the lives and work of its clients? Give the client a voice; gets their company and its message mentioned in the media; a feel good factor about the company, its brand and profile. Key achievements heard. Give clients a profile that is seen as successful, honest, important, exciting and relevant. Media coverage generated over and above paid advertising has the advantage of third-party validation and is viewed more favourably. Main focus the generation and distribution of media releases with associated social media support. Can include special events designed for public and/or staff profile and media relations. More of an integrated approach than just the generation and distribution of media releases with associated social media support. More input into the integration of a PR strategy into strategic marketing. Focus on client’s brand, overall messaging and social media strategy. 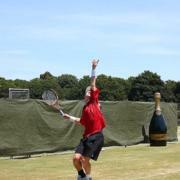 Includes Crisis public relations strategies and potentially sponsorship and community programmes. John and enthuse were engaged by the Coast to Coast to manage the PR and media side of the 2015 race. Johns roles included engaging NZME as a media partner, identifying and developing a wide range of stories leading up to and during the event and managing the wider media contingent at the event. John was also excellent at creating engaging video clips and social media strategies which worked really well for keeping our online content fresh and engaging. John also MC’d a number of areas including the prize giving where his experience shone through, keeping it engaging, topical and professional. John brought a huge amount of enthusiasm to the role and constantly brought new ideas and a great energy to the project, we are extremely happy with the results of his efforts. We have engaged John and enthuse again for the 2016 event and are looking forward to another productive and exciting year with him on board. 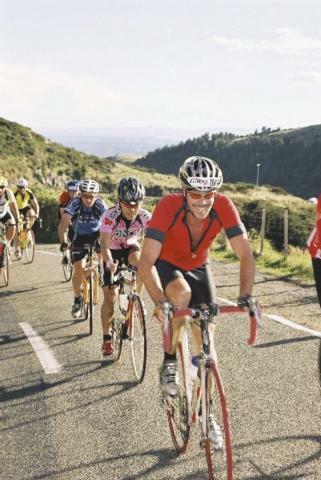 John has been lucky to travel to the Tour de France as part of his role as Editor of NZ Road Cyclist. Check out his video riding Alp d'Huez on race day. Loads of Dutchmen, music, sights and sounds as hundreds of thousands pack the 21 switchbacks of the famous climb. 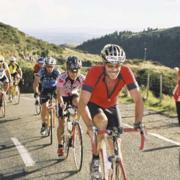 He covered the event extensively for NZ Road Cyclist and travelled with Kiwi Style Bike Tours. The image of James Bond stepping out of a wet suit with a dry tuxedo underneath became a reality for enthuse client Akaroa dolphin swimming operator Black Cat Cruises in 22 July this year. The company is introducing a world first dolphin swimming experience - the use of dry suits which are also used by New Zealand Armed Forces, the US coast guard and the NASA space programme for Escape Suit Life preservers. 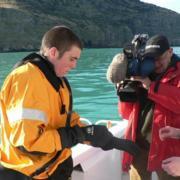 The dry suits were launched with TNVZ news with television coverage including TVNZ breakfast, lunch and 6pm news. Reporter Jack Tame experienced the new dry suits first hand and said the experience was outstanding and was like swimming on the coast of Suva in Fiji. Popular cycling event Le Race is the first sporting event to be welcomed back into the heart of Christchurch after the earthquakes. enthuse was successful in getting the annoucement made on TVNZ. enthuse got great TV news coverage for software company Shuttlerock, as they came to terms with attracting pop superstar Lady Gaga who used their software to connect with her enormous fan base. enthuse had a very succesful media launch for a world first for its client Black Cat Cruises with TVNZ. The image of James Bond stepping out of a wet suit with a dry tuxedo underneath became a reality for Black Cat Cruise's Akaroa dolphin swimming operation in July this year. 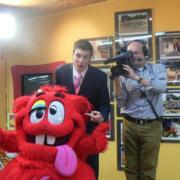 Check out the media story with TVNZ reporter Jack Tame doing his best James Bond impersonation. enthuse also has worked with Campbell Live on several stories for clients including Black Cat Cruise's efforts to save dwindling numbers of the white flippered penguinin Canterbury and Brandex's airbag system that can save lives in avalanches. We were very proud and privileged to manage the media and pr for the Dyslexia Foundation of New Zealand last year. We managed media coverage of the launch of New Zealand's first dyslexia Awareness Week, the opening of a world class, first in the world, Dyslexia Discovery Exhibit in the heart of Christchurch featuring original sculptures by internationally renowned English artist Mackenzie Thorpe and Weta Workshop designer Richard Taylor, and the unveiling in Christchurch of four giant monumental bronze sculptures created by Mackenzie Thorpe. Media coverage included Close Up, Breakfast, Good Morning, Campbell Live, Nightline, Attitude TV (TV1 Sundays), national news on TV1 and TV3 and national daily newspapers, magazines and radio. enthuse is very proud to have played its part in getting The Ministry of Education to change its position and accept dyslexia as a term to recognise students with a range of persistent reading and writing difficulties or disabilities. Media pressure and profile played a huge part in getting The Ministry to commit to implementing a whole range of initiatives to increase the level and quality of assistance given to students with serious reading and writing problems. Watch this space! Would you like to join the Dyslexia Foundation of New Zealand? enthuse has a successful track record of working with print, web, radio and television media to get its client's messages and information heard. Thank you for all your work and professionalism that you added to the Elite Cycling series that saw an outstanding finale. A six race series over 6 months and across the South Island with New Zealand’s top athletes was always going to have some challenges but you didn’t disappoint. Ongoing media releases pre and post event appeared in all the local papers as well as all the online websites and news portals. Rider interviews leading upto and on the day were no hassle. Updates, tweets, online videos, coveritlive, twitter, facebook and social cam are all now common phrases amongst my team thanks to your introduction. Of course we needed two of you as whilst you were out on course we missed your MC work at the finish line always awaiting your early arrival to get the crowd enthused. Your knowledge and research of the riders was great and although the brief didn’t mention it your voice and professionalism at prize giving was outstanding and we really did appreciate you going above and beyond. Thanks once again from my team, the riders, managers and their teams for a successful Elite Cycling Series. We will be sure to use your enthuse team for our next event. Thank you so much for the work you have done for me in relation to my Youtube promotional video, branding and integration for my website. My expectations have genuinely been exceeded as to what I thought the overall result would be and I also know that liaising with my clients during the production was a good experience for them too. I will definitely continue to use you as I develop my promotional – marketing strategies. Thank you very much you are clearly at the top of your game! 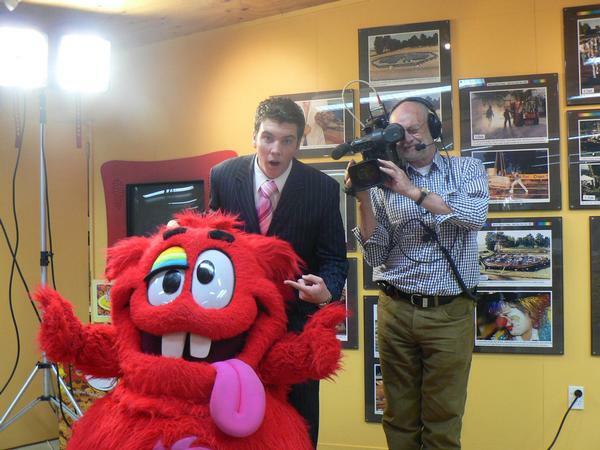 TVNZ reporter Jack Tame gets close and personal with the Cookie Muncher at Cookie Time's 25th birthday celebration... enthuse managed the media for this hugely successful day that saw thousands of people share in the company's 25th birthday celebrations in February 2008. During the first 6 months of 2007 John and enthuse were engaged to help develop and lead our public relations strategy aimed at increasing the awareness of dyslexia and having it recognised by the New Zealand Government. His clarity of thought, his persistance & determination, his commitment - to say nothing of his enthusiasm - resulted in our aim being acheived and a whole lot more. John delivered 100%. We asked John from enthuse to help us with promoting our World Environment Day events, he was superb. He quickly grasped exactly what was needed and was able to apply his fertile imagination to marketing and public relations activities. With his knowledge and experience in marketing he was able to negotiate some extremely good deals and engage some powerful players to assist. I would happily engage John again for similar work. Specialist marketing communications and pr professionals with an award winning track record. Want to uderstand use of social networking - Twitter, Facebook and YouTube, we can help! 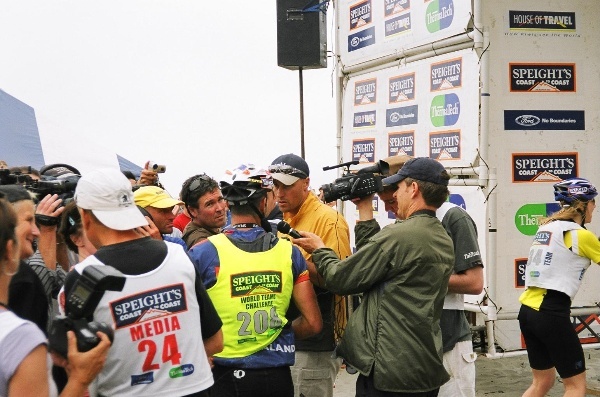 chief enthusiast john mckenzie interviews Speight's Coast to Coast One day mens winner Richard Ussher from Queenstown amongst a bit of a media frenzy for Sky Sport live television coverage. enthuse can assist with creative event development and management. 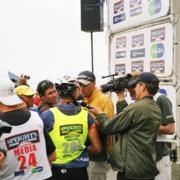 Events where enthuse has provided media and pr support include Kathmandu Coast to Coast, World Environment Day, Hearing Awareness Day, Benchmark Homes Elite Cycling Series, Covi SuperShow, Le Race, NZ Lawn Tennis Championships, Around Brunner Cycle event, Harrex Group Corporate Pursuit and the Montana Christchurch Winter Carnival. Media and pr clients have included Black Cat Cruises, Brandex (importers of SKINS and Atomic Skis) and the Subway Pro Cycling Team. 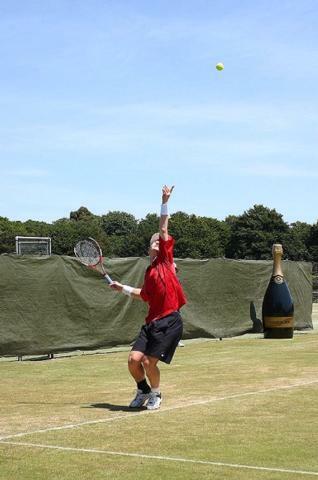 NZ Davis Cup team member and winner of the mens singles at the Armstrong Prestige Mercedes-Benz NZ Lawn Tennis champs Daniel King-Turner. enthuse handled all of the comms marketing, media and pr for this national event. Provide motivational sales training - helped smash Cookie Time's xmas Cookies sales targets in 05 and again in 06! Having an understanding of the requirements of marketing activity and its fit with communications, public and media relations work is essential for successful business today. enthuse's chief enthusiast John McKenzie is a trained journalist with a marketing degree tucked away with work experience in nz and overseas that covers marketing, sales, pr and events - a very unique combination that can add some real value! It's all smiles at the top of one of the hill climbs of Le Race, the 100km cycle event that starts in Christchurch and finishes in Akaroa. enthuse handled all the media and pr for this cycle event between 03 and 06 and assisted with marketing for the 06 event which saw a 65% increase in numbers. complicated, and sometimes charge accordingly. Marketing is simply finding out what people want, then giving it to them - at a profit. how will you get there? enthuse can run workshops with staff, and develop marketing communications and media strategies. Development of a marketing communications plan would cover issues, target audiences, key messages, strategies and implementation. Management and distribution of media releases can be included as part of this communications plan. Understanding brand values are increasingly important - aligning staff values with a company's brand values is vital. How well do you know your own brand - company and personal? You end up with what you deserve - what do you deserve? enthuse offers brand development development and support and runs specialist brand development workshops and presentations. John's 'You are your Brand' presentation has been very well received throughout NZ at over 30 conferences and events. John’s personal branding presentation is motivating, stimulating and very informative. It has been with complete confidence John has presented on Westpac’s behalf at numerous conferences and the feedback has been fantastic. He relates very well to his audience, does his homework beforehand and always delivers. I have no hesitation in recommending John McKenzie as a motivating, entertaining and enthusiastic speaker and presenter.